Those are a pair of shoes that I have worn every since I came to Korea. 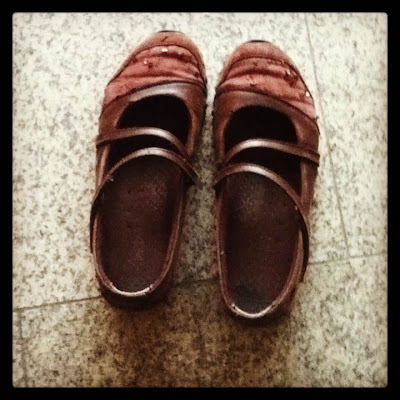 They have been my work shoes, because you change your shoes when you go to work here. I always said to myself I would get a different pair but I never bothered. They have seen me through 1 hagwon, 2 public schools and this last one. These shoes have taken me through a lot of drama and hard times, but also through fun experiences as well. I'm not going to take them back with me, so I suppose they can live here in Korea. Those last five days of winter camp went really fast! Thankfully I had prepared enough before camp to jump into it without that dreaded feeling of, "What do I do?" At my school camp is from 8:50 - 12:10, with various breaks in between. Most of what we teach is academic, like Science and Reading, but there are also fun stuff like a Drama unit and Museum unit. I try to engage the students as much as possible with questions, and I also found setting up the material works well. Before we get into the book I brainstorm with them about the topic and play a short video for them to get the connections visually. This really helped when we were going to make a craft based upon cavemen wall paintings. The video showed the wall paintings from Lascaux in France, and the students were quite impressed. I admit I miss the days of designing the whole camp and having "cooking" and other themes that were more hands on fun. But you make due with what you got! I might be preoccupied with leaving Korea, but I still have my job to do. These days the kids are finishing up the chapter on measuring. In a few weeks they will have their final tests and then it's a week and a half off for Christmas! The measuring unit covers inches, centimeters and area. This kind of subject area is really straight forward but also can be expanded to cover talking about comparatives. Such as, "She is taller than me." So I have been integrating some basic English learning along with the target Math subject area. For the past several weeks I have been teaching my students a scene from the play, "The Blind Men and the Elephant." It's an adapted version for EFL students and includes several songs which they dance to. For the most part I have been having fun teaching my students to sing, dance, speak loudly and act. However, doing it this time as a team leader adds on more challenges. There is pressure for the students to perform well, and it comes from the Korean side of the school. As foreign teacher's we know that we can do our best, but the students will decide in the end how to perform. Fall is here with clear blue skies and cool breezes, and I am reminded that a whole year has gone by. Around this season schools like to hold festive markets where the students come out and buy stuff. Usually the stuff for sale is donated by parent volunteers. This week my school had their School Market, and I joined in with the students haggling for things such as pencils and toys. It really was a lot of fun. I'm actually doing much better now with all my symptoms practically gone. But it took some time and I didn't get off work that much when I was feeling like crap. Instead I trucked through my class loads and stuck it out. Working when sick in Korea is a given and you pretty much have to do it or you will look like a sorry person to your Korean colleagues. Here for you is how I got through teaching with tonsillitis and generally feeling horrible. I made it! The last week of my first year at S* school is coming to it's end. I am amazed I made it this far considering how difficult it was at the beginning. Also I am impressed at how much my students have advanced and grown. Now I get to see them continue to grow in the 2nd grade. I picked up this game from working at public Elementary schools. 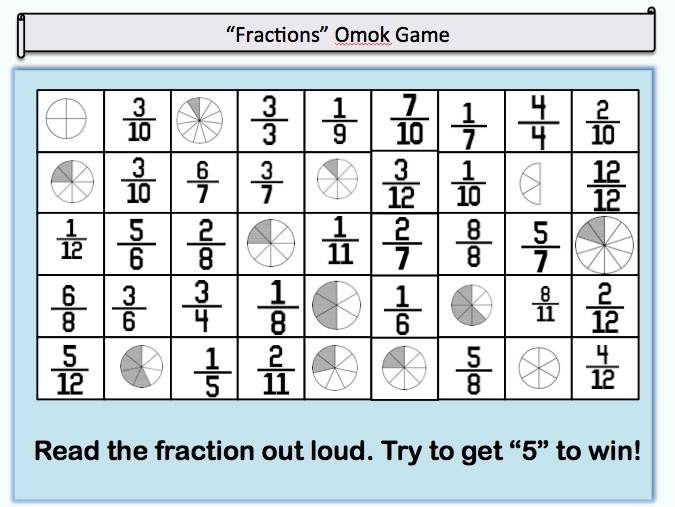 One of my Korean coteachers introduced me to this board game called, "Omok". The game is similar to tic-tac-toe or 5-in-a-row. Basically the students take turns picking squares. They practice whatever they see in the square by speaking or working out a problem. If correct they get to claim that square and their goal is to get 5 in a row.